This event is now over and the winner will be announced on the 2nd April. 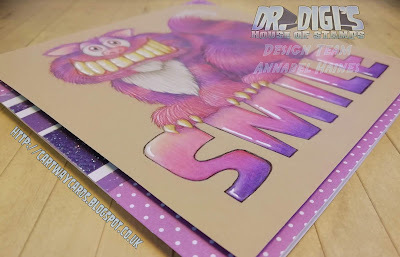 Hi everyone and welcome to the Purple Day Blog Hop! This hop was organised by my friend Fikreta to support Epilepsy Awareness! Purple Day, on the 26th March, is when everyone comes together to share knowledge and reduce the stigma associated with Epilepsy. I've added the official info and link at the bottom of this post, please read if you have time. Here is the blog hop list, please pop around the hop if you can, there are some great purple projects and fab giveaways to take part in! I kept to a mainly purple theme and coloured him with polychromo pencils! 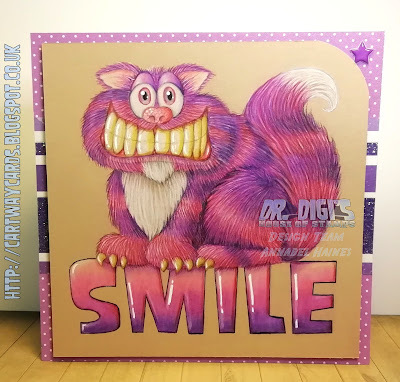 Do you think he looks like he should be up on the notice board in your Dentist's reception? lol. 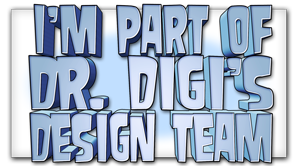 Font is the Dr.Digi font called Samdan. Background paper from the stash. If you would like to win this card, I am going to randomly select someone who comments on this post and will send it to you after the end of the hop on the 31st. This offer is open internationally and is not in conjunction with anyone but me. I will need to ask your address if you win but I will not retain is after your card has been posted. 50 Million People have epilepsy world wide. It is estimate 1 in 100 people have it. In 50% of the cases the cause is unknown. Got to the Purple Day website for more info! OMGoodness, Annabel, your card is so cuuuuuuuute! I wish I could colour like that! Amazing! I learned a lot about epilepsy during the hop - thank you for helping to spread awareness. I loved your card using digi stamps. I have never got an opportunity to try them. 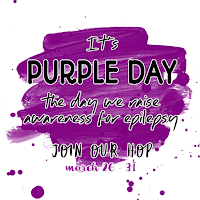 Thank you for taking apart in the Purple Day Epilepsy Awareness Blog Hop to create awareness. Gorgeous card with that 'smiling' cat. Would be an honour to win it. this is super awesome card! Must visit you so you teach me that fur coloring! I want to win this card ! LOL! Thank you for joining in this blog hop! Eeeeek! What great coloring with so much deatilings, love it! Lovely card, great choice of colors, love your coloring. Thanks for raising awareness through this hop. Wow Annabel! 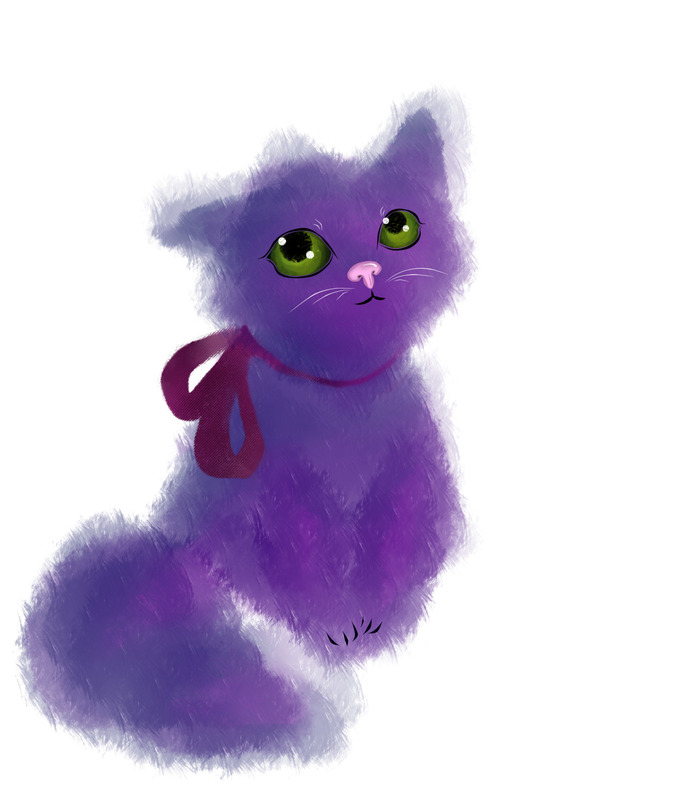 your kitty is fabulous in purple! As always your coloring is just fabulous! Such an exciting blog hop and I am so happy to be a part of it and spread such an important message. This is such a fun image. I was giggling just looking at it and your coloring of it is fantastic! Thanks for helping to teach us more about this disease. Such a fun card! I love that kitty's big grin! It makes me smile too! Thanks for being a part of this very important awareness blog hop! Such a fun card! I have known several people with epilepsy. Thank you for sharing this informational and inspirational hop!! I learned that you should not try to hold someone having a seizure. Good info! FAbulous coloring of this purple cat. What a fun card for this great awareness hop! What a fun and adorable kitty. Thanks for the information you share. Needed by myself and my family. Wow, I can't believe you colored this with colored pencils! Such a funny design, and that color just pops! GORGEOUS COLORING! So great of you to be a part of this awareness hop! What a great cause for a blog hop. Thank you! Love that big, beautiful purple cat! Lol!! This cracks me up and your coloring is amazing. Yes, this could definitely be up in my dentist office! Fabulous coloring! Thanks for taking part in this important hop! 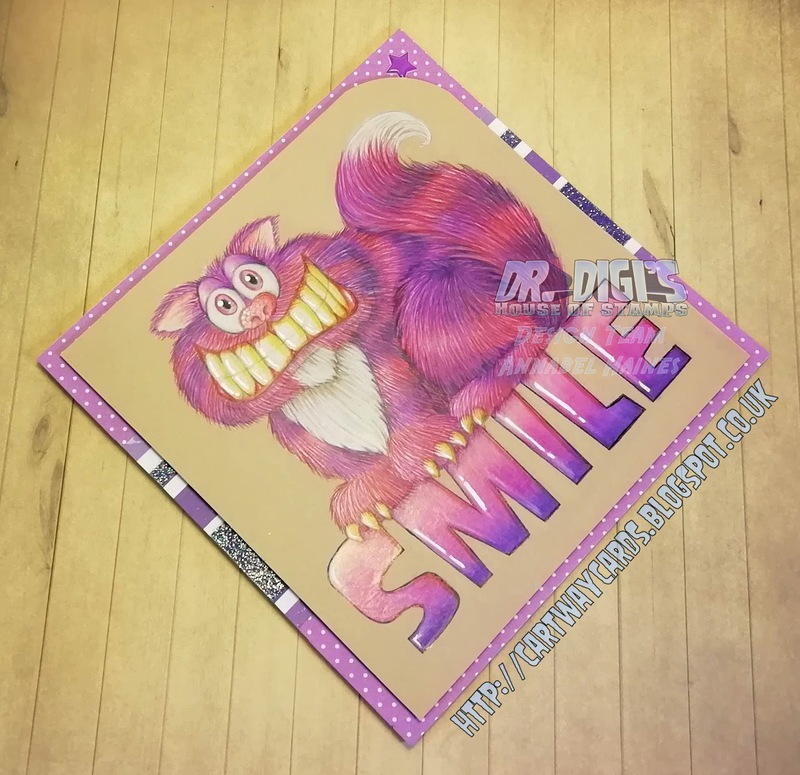 Love your purple Cheshire cat card! Awesome coloring! I'm learning a lot about epilepsy awareness along the hop! Thanks to the blog hop, I came accross your site. 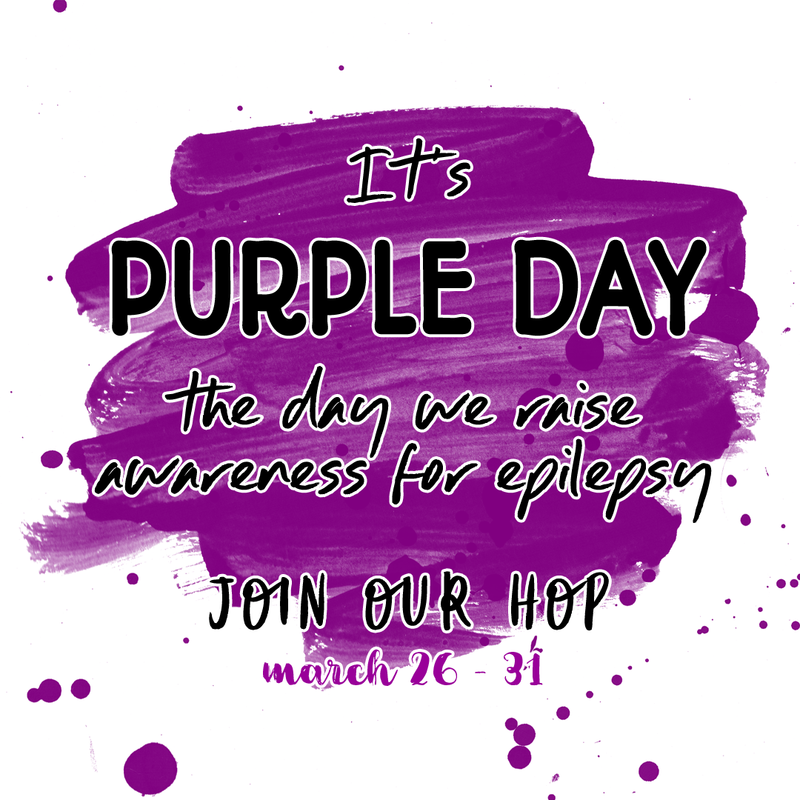 It's the first time I heard about Purple Day, although my sister has epilepsy (she is 52 now - and mentally disabled). - I have to check if March 26 (my birthday, so for sure I will remember) is known as epilespy awareness day here in Belgium too. What a fun card you made; great colouring !! Thank you for supporting this important, heartwarming bloghop. 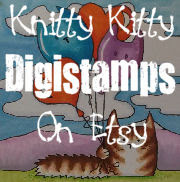 I've hopped on over from Kitty's KT Designs Blog. 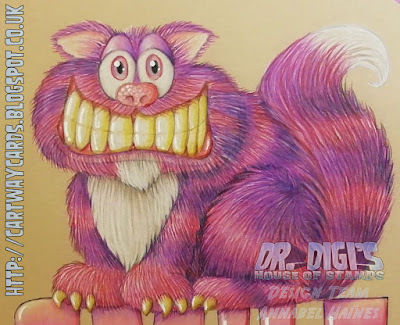 I love that Cheshire Cat. He does look like he belongs in the dentist office for good oral health. Thank you for sharing the information on epilepsy and the chance to win. Plus I've found a new blog to follow! Amazing card, Annabel. Your card is really pretty. Thank you so much for the chance to win such a great prize. Kisses from Greece. I am in love with this cool cat card! So adorable - thanks for all the information I have been reading on this terrible disease - may a cure come soon to help all who suffer. My grand-daughter lost her best friend who was 19 to a seizure - it was truly sad. Bwahaha! This is a riot, Annabel! And, yes, it definitely would be an awesome poster hanging in the dentist's office! Your coloring and glossy bits are just spectacular!! Such a gorgeous card, love the sweet image and colours are so adorable. Hilarious card, Annabel....and your coloring is always amazing!!! That cat is awesome and I l9ve tge way you've colored it! My 2 year old nephew was diagnosed with epilepsy 2 months ago and they've had a hard time getting it under control. I had no idea Purple Day existed! We will have to mark that day on our calendar for next year! Eeeee !! How super AWESOME ! I really love the kitty and your colouring is out of this world !! Lovely to meet you on this Hop. This card is fantastic. I lost a sister that had epilepsy and thank you for bring attention to it. I do not think many understand how much it can affect someones life.